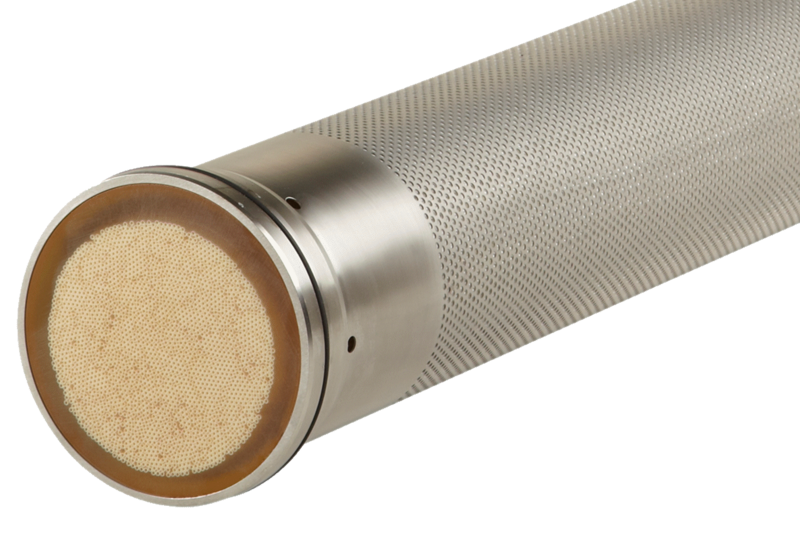 X-Flow’s R-100 capillary microfiltration membranes are the number one choice for the filtration of still and sparkling wines, must, and juices. Due to the great improvements in product quality and taste, production costs, and environmental impact, more than 20 percent of global wine production is now filtered with our membranes. Although the R-100 module was specifically developed for wine filtration, it is also an exceptional choice for dairy products and for oil/water separation. The module contains an outer housing (vessel) and an insert composed of about 2,100 capillaries. The module dimensions of the R-100 are 160.6X1.022mm. R-100 is a stainless steel module used for the filtration and clarification of aqueous solutions and beverages such as wine, juice and cider. 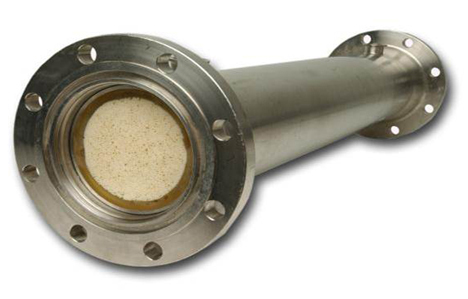 With feed-and-bleed operation in cross-flow mode with regular backwashes, the R-100 membrane offers continuous (unmanned) operation and excellent throughput, eliminating the use and disposal of kieselguhr (diatomaceous earth): no CO₂ loss, no oxidation, no color loss, and no product loss with high recoveries of over 98 percent. Adjusting the filtration to different types of wine is relatively easy, and the wine quality is much less dependent on the staff than it is with diatomaceous earth. The X-Flow R-100 capillary microfiltration membranes can be used for every step in wine filtration, but also for juices, dairy and industrial processing. The module is ideal when it comes to sanitary and high temperatures applications.